Driving vehicles in winter can be a serious challenge for drivers. Sometimes, even the most experienced driver face problem while driving on road. In a matter of minutes whether condition Changes, so certain precautions while driving in winter conditions may help us to avoid major encounters and accidents. These precautions must be given due importance so as to save lives of people. Pine Towing takes care of all these precautions. 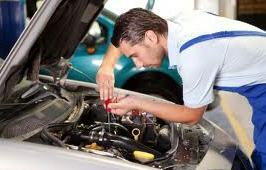 Service: Make sure that you regularly change the oil. This will help in smooth driving. You should have good amount of antifreeze. The antifreeze should not freeze in low temperatures. The car’s battery must be in good shape. Towing service companies provides this service. Tires: Tire pressure must be checked regularly. In winter tire pressure decreases and there are more chances of tire becoming flat. In winter you must use those tires made especially for winter. Ca auto towing knows the risk of traveling in winter and acts accordingly. Survival Gear: You should keep winter survival kit for your car and carry it wherever you go. A blanket, candles, waterproof matches, flashlight and extra batteries, a shovel, and snack foods — cereal bars and chocolate should be kept inside the car. Radio and flashlight is always a good idea in winter. Road Maps and Communication: Carry the most current maps in your vehicle and use them when you find yourself in a situation where you forgot the road. Planning your route and sharing it with a friend or family member is always a good idea. Take a trip on main roads in winter. This will help you in safe driving. Keep a cell phone car charger in your car. Give full concentration to the road while driving.